Welcome to the 2019 BIN CLEANING SEASON. Bindoctor has become recognized as the market leader in both domestic and commercial GREEN bin cleaning in Canada. SERVING HRM FOR 20 STRONG YEARS! We CLEAN, SANITIZE and KILL 99% of all known germs! We guarantee NEXT DAY cleaning so please ensure your bin is empty and visible. Each visit your bin will receive the following treatment. Bin will be placed inside our specially designed automated mobile cleaning unit that recycles the water and collects the residue. 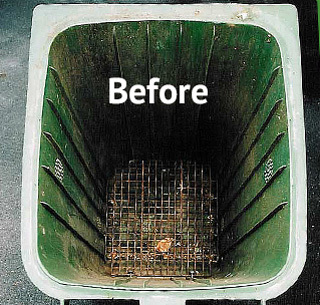 Our application uses our own environmentally friendly “Bin Doctor Degreaser” to cut through the build-up of grease and grime. The bin will be hand wiped until completely clean and dry. Our own environmentally friendly “Bin Doctor Deodorizer” will be applied to the inside of the bin. 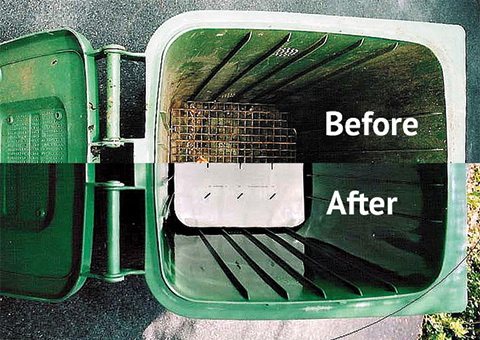 Our specially designed “Grate Liner” will be placed inside your bin to absorb moisture and keep your grate clean. 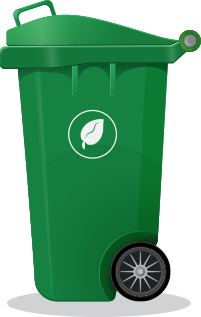 Our Bin Cleaning season will begin on April 30th, 2019 and run until November 15th, 2019. The Oscar Service plan is a garbage bin cleaning service for $14.99 per cleaning that can be added on to any organics cleaning service. Will the cleaning process make a mess on my property? NO! Our technician parks and cleans the bin on the street and our cleaning unit is designed to contain the mess and excess water. Will my bin get cleaned if my collection falls on a Holiday? YES! Your cleaning will be scheduled around the Holiday. What happens if I forget to put my bin our for collection or I go on vacation? SIMPLE! Immediately email or call the office to reschedule your cleaning. 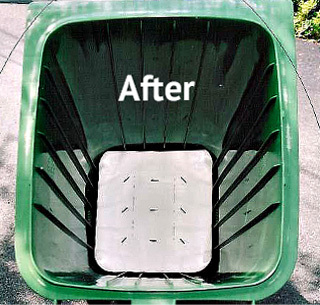 If we are not notified and our technician shows up to clean your bin and its full the visit will count as a cleaning. Do I need to be at home while my bin is being cleaned? NO! Just ensure the bin is empty and visible for the technician to clean. What if your technician is not able to clean my bin due to bad weather or street closures? No Worries! We will simply reschedule and arrange a new cleaning date. 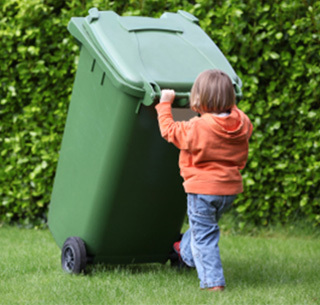 Can I substitute my bin to clean my neighbors bin using my cleaning plan? NO! Bin numbers are recorded and only that numbered bin will be cleaned. Can I pay CASH at the door after my bin is cleaned? NO! The technician no longer accepts payment of any type at the door so payment must be made online or in advance. Copyright © 2015-2019 Bin Doctors. All rights reserved.